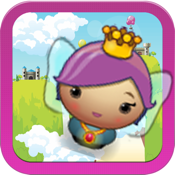 Help Princess Yugi fly through the Kingdom collecting jewels for her jars. Avoid poison pods and complete goals to level up. The more you tap, the more journeys you complete, the more you score. Endless levels, endless fun!